Vintage NEW SNOOPY and WOODSTOCK wallet Purse Peanuts MINT In Original Box Fitz – $250. Find it on eBay (affiliate links). If someone wants to send this Snoopy and Woodstock wallet home with me, they’re going to need to lower that price! This Snoopy Clutch Purse was made by Butterfly Originals in the late 1970s. Butterfly Originals made a variety of these clutch purses and other wallets with a variety of Peanuts designs on them. The main “feature” of this Snoopy Clutch Purse is the box. The boring, brown, cardboard box. The box that only says “Fitz and Floyd” on it. The only Fitz and Floyd I know of creates high-end ceramic pieces, not children’s vinyl purses. Perhaps over the years they’ve evolved and shifted their focus. More likely, this box doesn’t go with the wallet. Either a similar sized box was used, or a different wallet came in that box. Even if that is indeed the original box from the 1970’s, it’s not really adding to the value. I’ve saved a lot of boring, brown, cardboard boxes in my collection and there has always been a good reason to keep the box. It says something relevant to the original product that was in the box. If it says “Snoopy”, I’ll probably keep it no matter how little value it probably has on the collector market. I would not hold this box precious in my collection without some indication of it being a Peanuts specific box. If this did come in a box, it probably would have been a colorful cardboard box with a clear plastic lid. How much is a Snoopy Clutch Purse worth? For $250, I could get a Peanuts Coach clutch purse made out of REAL LEATHER. Why would I spend that kind of money on a vinyl Snoopy purse? A more likely price I’d pay is around $15-30 in very good to mint condition. More Peanuts Purses to Explore! 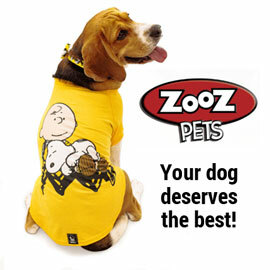 Shop our online store for related Peanuts Bags and help support this site. 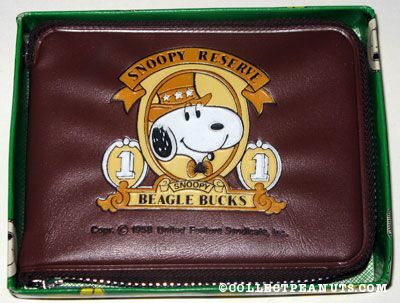 Plus, discover more Snoopy Purses & Bags in our online collection gallery.